After Baku's surprisingly tame debut last year it seemed as if this season's race aimed to pack in double the action to make up for it. After Baku's surprisingly tame debut last year it seemed as if this season's race aimed to pack in double the action to make up for it and there were talking points aplenty. While it was a snapshot incident the clash will become the moment the 2017 Azerbaijan Grand Prix is remembered for: When Vettel appeared to lose his cool and bang wheels with Hamilton. Plenty has been said, discussed and analysed - including Crash.net's own take on it - and it would be foolish to assume it was the end of the matter in Baku. A chink in Vettel's psychological armour provoked by Hamilton or the British driver taking it too far and instigating the clash in the first place? Your point of view might be decided by either the #44 or #5 number on your supporters cap, but given Vettel's recent outbursts in Mexico he'll be treading a tightrope in Austria - another incident could land him with a ban having accumulated a maximum amount of penalty points. In two weeks time Hamilton will turn up at Spielberg and also get a reminder of some previous on-track clashes. The Mercedes driver tangled with his former team-mate Nico Rosberg on the final lap 12 months ago but was largely seen as the innocent party while going on to win. With his new title rival in the red of Ferrari rather than a sister Mercedes, the Austrian Grand Prix just got that bit spicier. For the first time in the V6 turbo hybrid era there is a genuine two-team title fight which has ignited into bitterness after the chummy scenes in Canada. The flashpoint has got F1 in the mainstream spotlight, somewhere it has been absent from for far too long, and we have a classic rivalry fans had been hoping to see for some time. Top marks to Lance Stroll. The Canadian teenager has come under a barrage of criticism since stepping up to Formula 1 with Williams and the pressure only mounted with three DNFs in his opening three races, while he didn't reach the points until round seven in Canada. But what a difference two races can make. Thanks to those confidence-building points in Montreal Stroll has arguably produced one of the performances of the season to reach the podium in Baku - albeit being pipped for second place at the chequered flag by Valtteri Bottas. 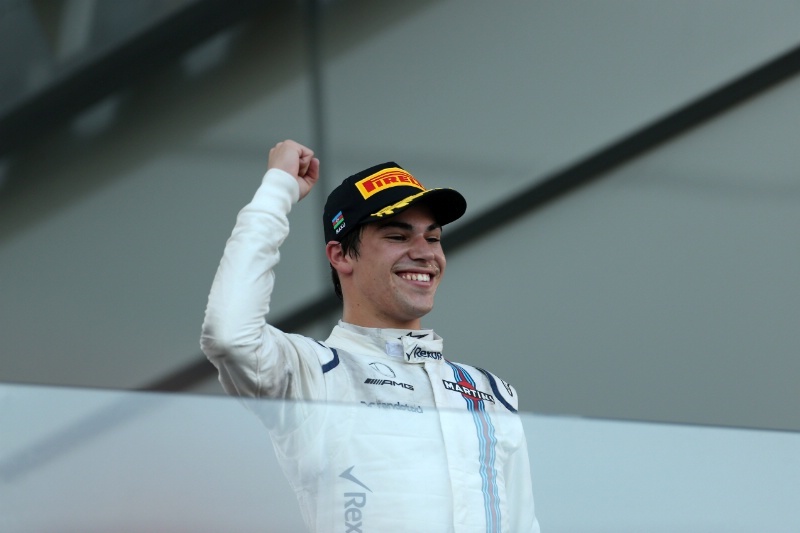 All of a sudden Stroll is a record breaker for all the right reasons: youngest rookie to podium in F1, Williams's first rostrum in over a year and the first Canadian to finish in the top three since Jacques Villeneuve in the 2001 German Grand Prix. What is more impressive is how he thoroughly out-performed his ultra-experienced team-mate Felipe Massa. The 18-year-old showed strong potential throughout free practice before out-qualifying Massa by 0.045s and was one of the few drivers to keep his nose clean on the tightrope-walking Baku City Circuit. On the other side of the proverbial coin Romain Grosjean had the race from hell in Baku and there was only one thing the French driver would say all weekend. Blame the brakes. Since joining Haas Grosjean's brake woes have been frequently publicised, including a switch of supplier in Russia which ultimately failed and not one session went by without the French driver's radio moans. At one point during the race he pleaded with his race engineer to call him in if it got unsafe to drive. In the frenzy of media that followed the race Grosjean was somewhat given a free pass but eagle-eyed viewers who caught his TV pen post-race interview will have seen his two 'no comments' and one 'I don't know' before leaving sharply. This followed in the Haas press release which simply stated: "No post-race comments were made". Haas have long been bearing the grunt of Grosjean's complaints but are they now starting to lose patience over this almost-weekly grumble? A glance over to the opposite side of the Haas garage to his new team-mate Kevin Magnussen - who claimed an unsung hero performance of seventh - admitted the brakes were an issue but he worked around it. It seems Grosjean has the problem in the forefront of his mind and has lost hope in trying to work around it. Could his constant complaints - and lack thereof post-Baku - been seen as Grosjean talking his way out of a potential Ferrari call-up? Taking on hosting duties of an all-new street city race is no mean feat and Baku organisers probably felt they got off lightly 12 months ago with a safety car-free race. 2017 attempted to make up for it with multiple safety cars and a red flag, while the marshals were given a workout sprinting on to the track to clear debris left from on-track clashes. Due to the tight and tricky nature of the street track it meant a number of areas were difficult to extract cars which had stopped while the infamous turn eight produced peculiar scenes of cars reversing on to the racing line, prompting hundreds of heart rates to increase in fear of a scary crash. 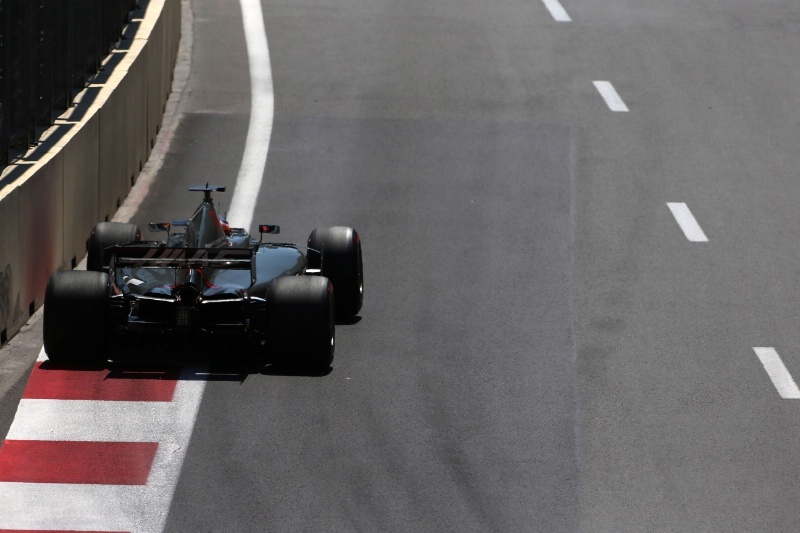 Changes, albeit difficult ones, may need to be implemented when F1 returns to Baku next year to make the track safer. On a lighter note, the local DJ missed a trick by playing the Benny Hill theme music every time a poor marshal had to sprint on and off track to clean-up the circuit or shepherd away a dejected driver from his car. On balance, Baku did itself proud on its second F1 event - and first titled as the Azerbaijan Grand Prix - and appears to have changed the minds of the new bosses from Liberty Media who looked thoroughly impressed by the boost in attendance figures and welcoming experience.